hype has a new look. I like the layout and content of this new issue. 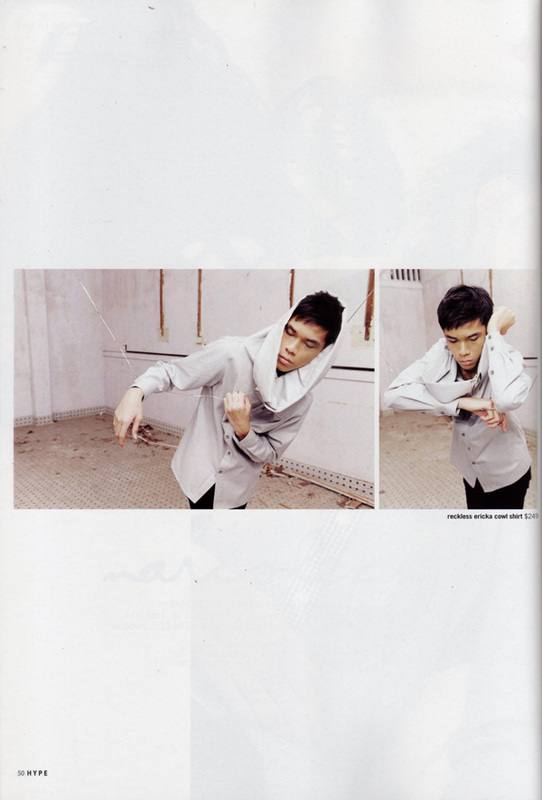 In particular, this fashion spread. I’m smitten with this coil armour blouse that both models wore. It’s from I never promised you a rose garden. It makes a great layering piece, but it comes with a pretty hefty price tag. Heh. ← you are my sweetest downfall. Two media students, Lenne and Huishan, playing dress-up. "O dear Ophelia, I am ill at these numbers. I have not art to reckon my groans"